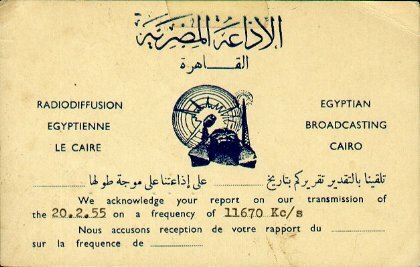 QSL card from Egyptian Broadcasting in Cairo on 20 February 1955 on 11.670 MHz and on 19 October 1954 on 9.790 MHz. 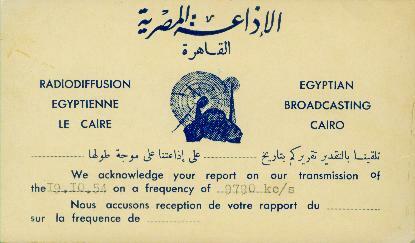 These QSLs were from Egyptian Broadcasting in Cairo. 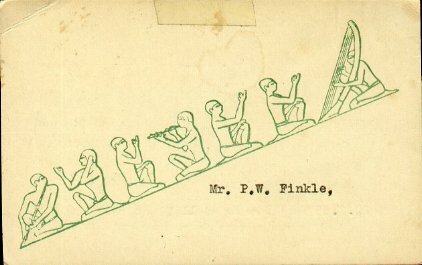 This station was well received on the West Coast.